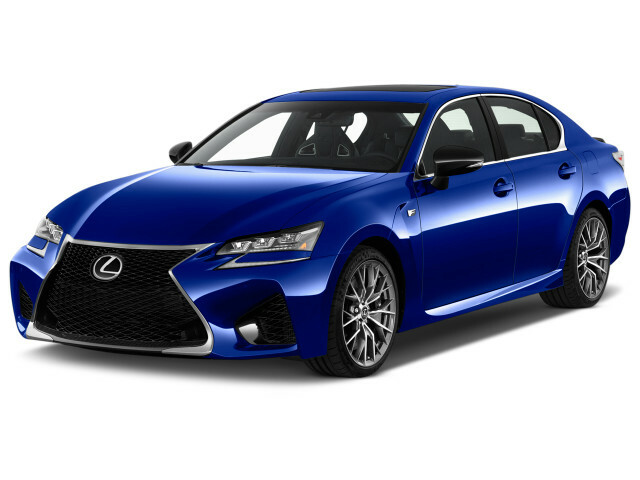 The Lexus GS F is a luxury four-door sedan with high-power V-8. Introduced for the 2016 model year, it is complemented by the RC F coupe as the only two models in Lexus' F performance line—though just about every Lexus offers a zippier F Sport model as well. F Sports offer some of the looks and suspension bits of the F models, without the extra power or track-ready handling. Lexus has offered two other F models in the past. There was the IS F compact sedan starting in 2008, and the 2012 LFA carbon-fiber supercar, which was limited to just 500 examples. Styling is far more aggressive than base versions of the GS sedan, mostly in the name of cooling and aerodynamics. The front end is unique from the A-pillars forward. The front fenders are wider and feature air outlets that vent air from the engine compartment. The spindle grille is even more aggressive than that of the GS F Sport, and it is flanked by a pair of air intakes that send air to a transmission cooler and an oil cooler. 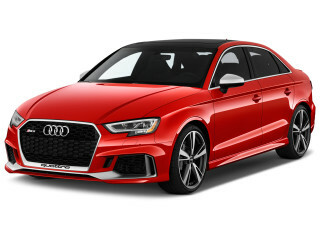 Prominent rocker panels visually lower the car along the sides, and the rear end features a carbon fiber reinforced plastic lip spoiler and quad exhaust outlets that jut through a lower diffuser. Under-body covers also smooth out airflow underneath the car to improve overall stability. The GS F starts with the fairly sporty platform from the base GS model and adds four underbody braces to improve body rigidity. It also uses more sophisticated suspension and chassis hardware. The GS F gets the GS’s double-wishbone front suspension and multi-link rear suspension. Two front arms and two rear links are aluminum to reduce unsprung weight, the front and rear geometry is tweaked, and spring and bushing rates are stiffer. Brembo brakes are used at all four corners, with big 15-inch front rotors and 13.5-inch rear rotors. 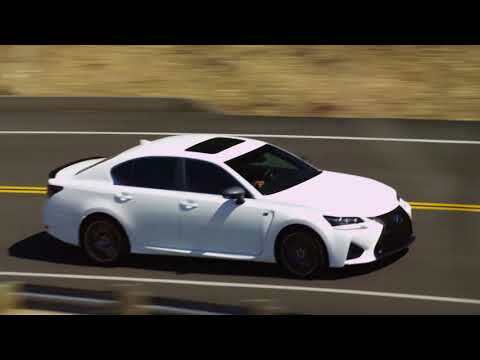 At the rear, the GS F also comes standard with the electrically controlled, clutch-actuated torque-vectoring differential that is optional on the RC F.
It shares its 467-horsepower 5.0-liter V-8 with the RC F, though the GS F is bigger than that car and offers a far more usable rear seat. The engine features both port and direct fuel injection and can run on different cycles to maximize efficiency. Those traits allow it to deliver decent fuel economy of 16 mpg city, 24 highway, 19 combined. Inside, the GS F has room for five in a cockpit-style environment. Over and above the standard GS, the F gets high-back front sport bucket seats; aluminum pedals; perforated leather on the seats and steering wheel; available carbon fiber trim; and Alcantara on the meter hood, instrument panel, door trim, center console, and Remote Touch palm rest. Lexus’ Remote Touch system is standard. It uses a center console-mounted joystick to enter controls on the massive 12.3-inch dashboard screen. Haptic feedback makes “buttons” on the screen provide resistance through the joystick. The GS F comes standard with 10 airbags, including driver and front-passenger knee airbags, and rear-side airbags. The Lexus Safety+ system is also standard. 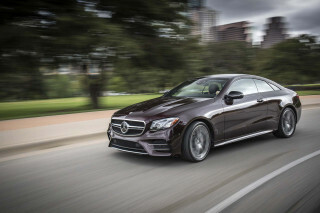 It includes adaptive cruise control, forward collision warnings with automatic emergency braking, active lane control, and automatic high-beam headlights. The GS and GS F have not been tested by the NHTSA, but the GS has received some good crash scores from the IIHS, though that testing is not complete. Changes for 2017 included making adaptive dampers standard, the choice of painted or hand-polished forged alloy wheels, and an optional head-up display. For 2018, the lane departure warning system becomes active lane control and the Enform Safety Connect and Service Connect is included for 10 years.